One of the main questions facing individuals considering graduate-level education is whether they’ll be able to fit classes into their own schedules. In recent years, accredited and respected universities have increased their fully online remote course options, changing the math on this particular question. When students can attend classes digitally and study on schedules that make sense to them, they can potentially seek master’s degrees—such as a Master ‘s degree in Accounting—without leaving their present full-time jobs. This scheduling difference is a potentially revolutionary development in the way students receive their MAc degrees. After all, these high-level degrees are attractive to established professionals seeking to either deepen their knowledge and experience in their chosen field of accounting or to pivot into accounting after studying other subject matter for their bachelors’ degrees. Reaching the kinds of accounting positions these individuals aspire to requires business experience, which they can continue to accumulate while simultaneously taking courses toward a MAc. In today’s technologically infused world, the question of whether a person received a master’s degree online or in person doesn’t determine the credential’s value. The school where the individual studied is the difference-maker. Each institution brings its own reputation, faculty and standards to the table. Respected and accredited institutions that offer online and offline MAc programs give potential students multiple paths to the same destination. 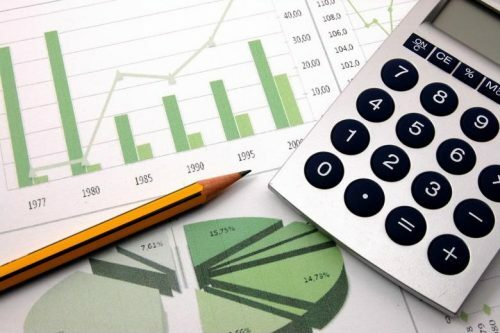 When online master’s degree in accounting programs are carried out in an effective manner, they offer the same advantages as offline equivalents. This includes faculty members who are knowledgeable, committed to their duties and available to students with questions, alongside relevant curriculum inclusions and the ability to collaborate with fellow students. Online courses today are designed to deliver a high-quality classroom experience in a forum that offers flexible benefits on top of the classic features of higher learning at accredited schools. Digital coursework platforms allow students to complete lectures and assignments asynchronously, ensuring that the classes will support learners with a variety of personal and professional schedules, provided those individuals are willing to put in the time and effort to learn as much as they would in person. For those who are considering studying for a MAc but haven’t taken bachelor’s-level accounting classes, bridge programs form an essential refresher. These foundation courses, delivered before the official start of the online master’s degree in accounting program, get students from other disciplines up to speed on the fundamentals of accounting. Even though major universities’ online learning programs give a positive learning experience in line with their on-campus offerings, there will always be those who prefer learning in person. This schedule, while not as flexible as asynchronous online study, does offer a way for full-time professionals to attain new skills in the hours following their day jobs. The main constraint associated with such a model is distance—not everyone can consistently make it to a top school’s physical campus. Students may also choose to embrace hybrid learning, which combines online courses with physical campus benefits. Individuals with less open schedules who want to engage in some in-person activities may naturally gravitate toward this in-between option. When a potential accounting student has free time in the evenings, proximity to a university campus and a desire to collaborate with others in person, physically attending classes toward a MAc might be the right choice. In the digital era, these personal factors will be the major determinants of the right educational path, as the quality of the faculty and coursework—and value of the diploma awarded—will stay constant between study models. When it comes to future prospects, a student’s choice of degree is more important than that individual’s selection of an online or in-person study model. Choosing a master’s degree in accounting is one way to make progress in the in-demand and highly specialized field of accounting. Receiving a MAc may help graduates on their way to high-ranking financial advisor roles, as well as tax specialist jobs and even departmental leadership. Individuals who want to take a more public-facing role instead of settling into corporate financial teams can go on to the Certified Public Accountant certification exam and set up shop as CPAs. Ambitious MAc graduates who go on to work their way up the corporate ladder may end up in line to take on chief financial officer duties, assuming positions in corporate C-suites. Every organization needs people with accounting skills, whether the economy is booming or suffering. Applying up-to-date knowledge of financial institution roles, tax policies, technology and bedrock strategy is a recipe for success, whatever the circumstances around a company or industry may be. From corporations and banks to government agencies and nonprofits, accountants can find a wide variety of organizations interested in their skills. Making a personal decision about whether to study for this degree online or on campus should come after an individual has committed to the idea of improving accounting knowledge, and should likely come alongside continued professional development in a relevant role. Education is one facet of becoming a valuable accounting team member, while direct involvement in the industry is the other. With flexible scheduling models, these priorities don’t have to interfere with one another. For more on the educational side, check out the online Master of Accounting program at the University of Alabama at Birmingham. What is the 5-year rule of the UAB MAc program?